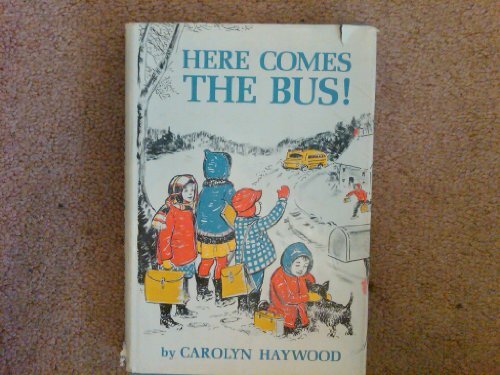 Home > Books > HERE COMES THE BUS! HERE COMES THE BUS! is for Baby to Pre-K. HERE COMES THE BUS! was written by Carolyn Haywood. HERE COMES THE BUS! was published by Random House Books For Young Readers. Subjects of HERE COMES THE BUS! include Baby books, Board books, Buses, Children: Babies & Toddlers, Juvenile Fiction / General, Non-Classifiable, Pictorial works, Picture books, Pre-school & Early Learning, Specimens, Toy and movable books, and Trucks.